A small business is hard to start and maintain in many small communities. Too often, it becomes a business broken community where local bias outweighs the community spirit that should be happening. In order to change this broken community business model, we need to form incubators and accelerators. Just as an egg is incubated from birth to ensure its full growth potential, so must new start-up businesses be incubated in order to create jobs and fix the business broken community. 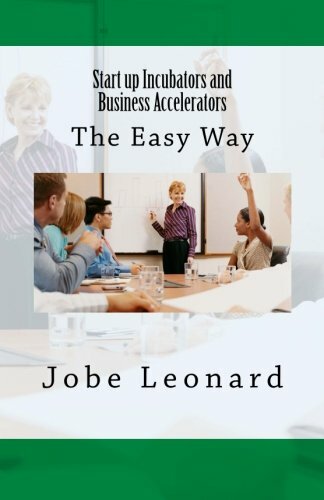 Start Up Incubators and Business Accelerators breaks down how this system is currently not working in our small communities and what it will take; from building, office equipment, people and support; to break free from what’s not working into something that can. Take the initiative in your community today by reading this book. When an egg is hatched is requires a warm environment (the incubator), a nurturing body (the hen) and a support system (the rooster) in order to grow and thrive in the dangerous world of the barnyard. A small start-up business must also be provided these essential systems and support in order to survive in the cut throat business world. Too often small business start-ups are not given the local community support needed to continue and this results in a business broken community. Soon towns are full of abandoned buildings, no businesses and no economy. Start Up Incubators and Business Accelerators shows how this can all change. The author breaks down how the system is currently not functioning the way it should, and how, with a few simple steps, businesses and communities can repair their broken business models. If you’re looking to start up a small business in your community or would like to help your town get back its community spirit and leadership – this book is for you.